Welcome to Coventry, a highly desirable 24 hour manned gated community. 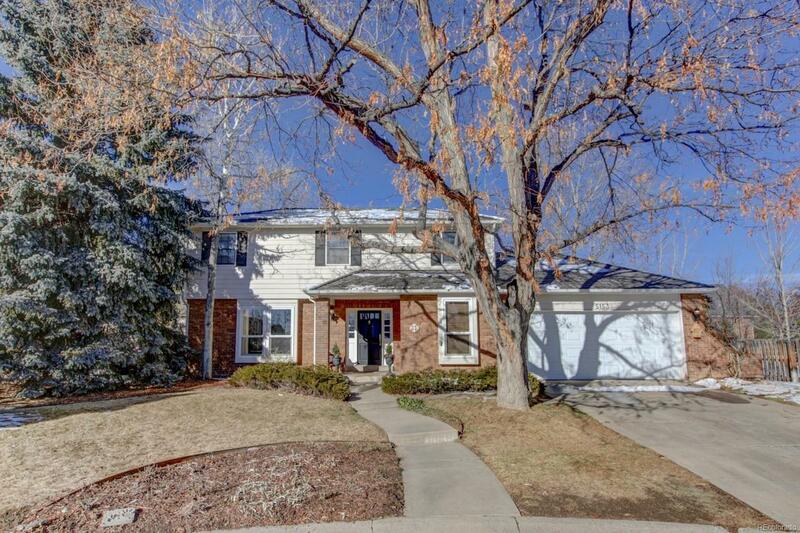 This updated two story home faces south with mature trees and sits on a quiet cul-de-sac. Inviting and bright, this well cared for home has hardwood floors, new paint and solid wood doors. The kitchen gleams with stainless steel, granite and a gas range. Both a formal dining room and a kitchen nook give you dining options. The main floor also has an office, laundry/mudroom and living room. The second floor has new carpet and a master suite with an elegant bath plus 3 more bedrooms and a bath. The basement has a finished open area, bathroom and great additional storage. Extend your entertainment to the backyard with a covered patio, flat grassy play area and easy to care for landscaping. The community has a pool, clubhouse, pond, tennis courts, playground and tons of social events. Located in the Littleton Public School district with easy access to Main Street Littleton, the Light Rail and downtown Denver.